As a parent, you want to make sure to teach your kid all the things he or she needs to know for life, and the list increases considerably when you're a royal. 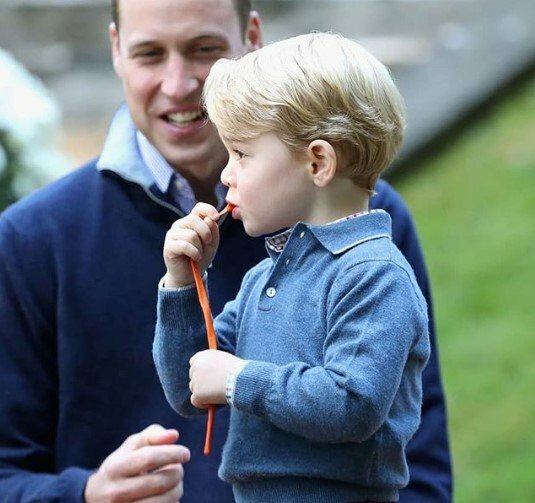 Although Prince George is still a five-year-old boy, he has to learn a lot of things that will help him once he becomes King of England. Luckily for him, daddy is by his side to teach him all he needs to know and accompany him during his first steps as a blue-blood kid. In fact, they have a very close relationship, and there are many details to confirm it. Take a look at this article and find them out. 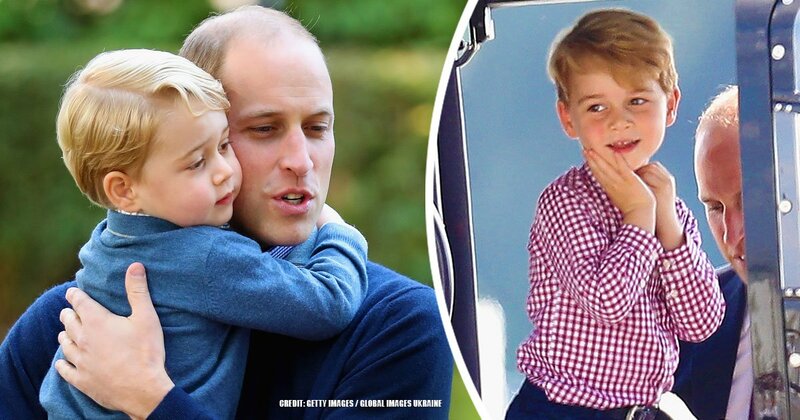 Prince Charlotte is known to be bubbly and outgoing, while George is supposedly shier, but it is until he warms up that he turns sweet and chatty. Many would believe he is always glued to his mother's hip, but the truth is that he is not a mama's baby boy. In fact, US Weekly stated that the little Prince is ultra close to his father. 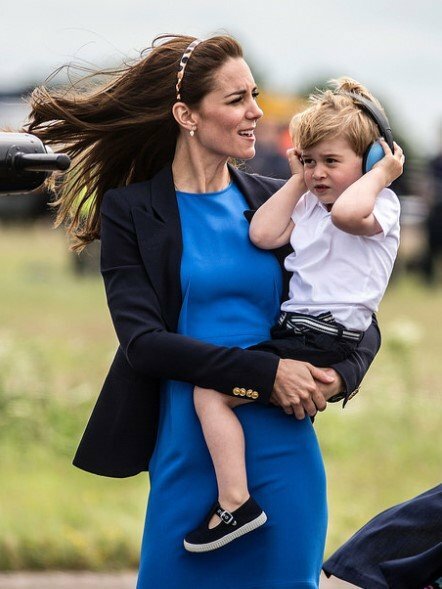 George might not know it yet, but he has a lot of things in common with daddy, mainly everything related to the line of succession to the British throne, but he still doesn't know he'll be King one day. And talking about similarities, we cannot leave out the striking physical resemblance between them. According to the royal protocol, two royal heirs cannot travel together by car or any kind of aircraft simply for safety reasons should an emergency arise. 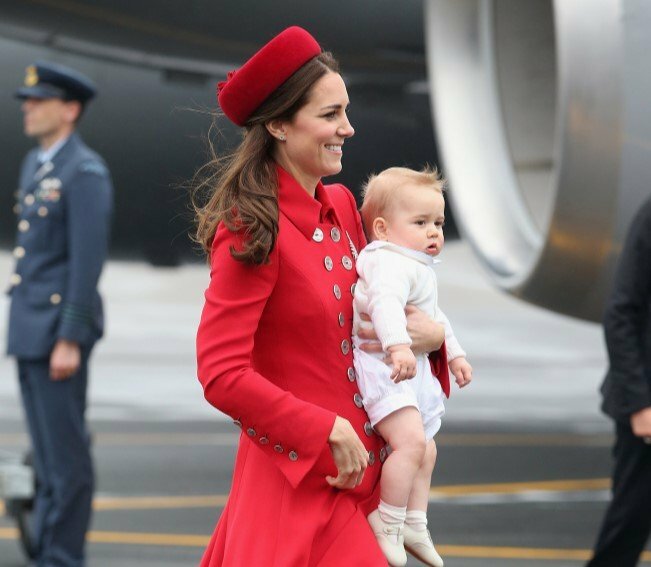 However, William doesn't like leaving George, so he is allowed to go on outings and royal engagement with the family in the same means of transportation until he is 12 years old. As US Weekly explained, Princess Diana had the same parenting style when it comes to going out since she would take William and Harry on vacation abroad or drive them to McDonald's to pick some burgers, and her son seems to be following in her footsteps for bringing his children up. 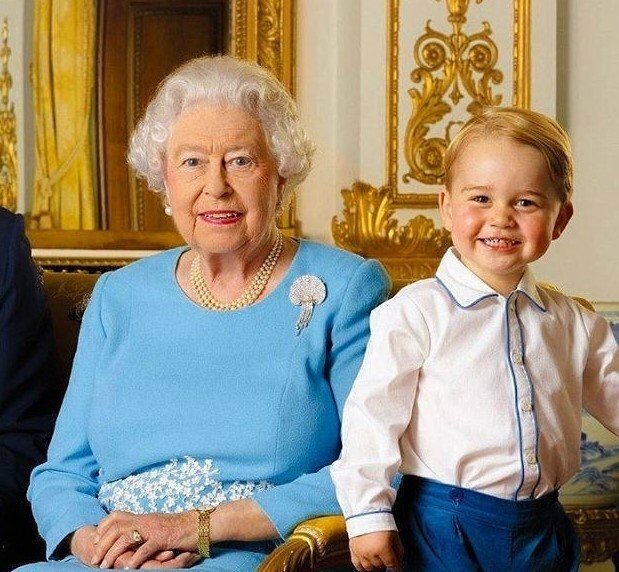 Could you imagine how it would be for a five-year-old to find out he'll rule a whole country one day? It must be that type of news that is better to be kept under wraps for a while, and that seems to be Prince William's decision with the third in line. According to CheatSheet, he doesn't know he's a prince and his destiny in the line of succession to the British throne because his parents resolved to forgo telling him about it. The Duke of Cambridge once said that he discovered his fate at a very young age, and that insight put a lot of stress and pressure on him. Therefore, it seems reasonable that he doesn't want his tot to go through the same experience until he is old enough to understand the extent of the responsibility. According to what a source told US Weekly, George loves riding bikes, while Charlotte pretends to be a Disney Princess. They both like being outdoors and playing with toys, as they are banned from using gadgets for entertainment purposes such as iPads or cell phones. To even things out, crafts and arts are also part of the fun for them, particularly for George. He even gets dad to play with him, although the little one knows his parent is useless at handicrafts, by the same source's report. Prince William claimed that he helped create a "Welcome to Christmas Dinner" banner for a London charity that he was visiting last year. "Some of [the television shows] are really good, but you have to pretend you’re really interested because George gets very upset if you’re not showing due diligence to the characters." 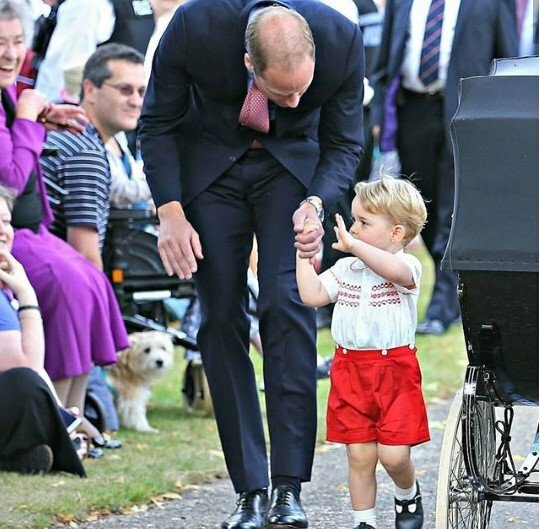 Any member of the royalty needs to be aware of the royal ropes, and it seems that the Duke of Cambridge has dedicated the time to explain his kid a must-do: the hand wave. Despite being shy, Prince George truly knows how to behave in public, waving the crowds with his left hand in the best noble fashion. 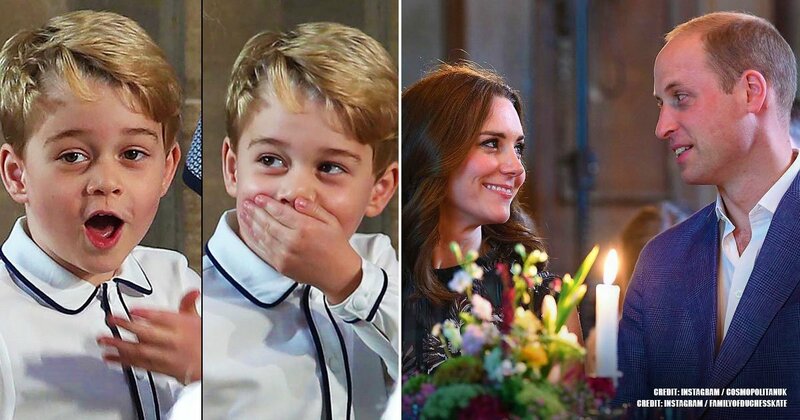 When you're a royal, it is tough to guarantee your children will have ordinary experiences. 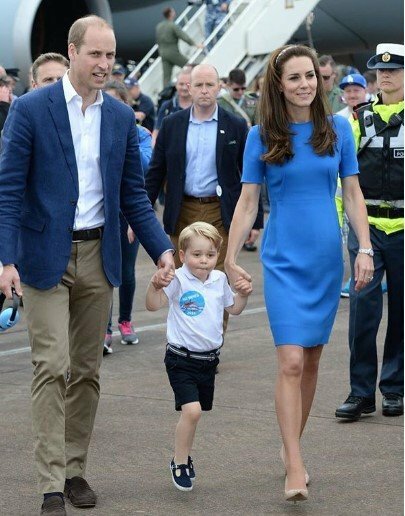 Despite this, Duke William and Duchess Kate want to ensure that their offspring, Prince George and Princess Charlotte of Cambridge (and shortly baby Louis), navigate throughout life as any other person would, particularly George as the Queen's first great-grandson and the third one in line to the throne. So when it comes to school, it must be harsh for a kid to conduct himself among commoners. As you might remember, George had his first day at Thomas's Battersea school in London, England on September 7, 2017. For such a momentous occasion, his dad accompanied, and now William and Kate take turns to take him to school. 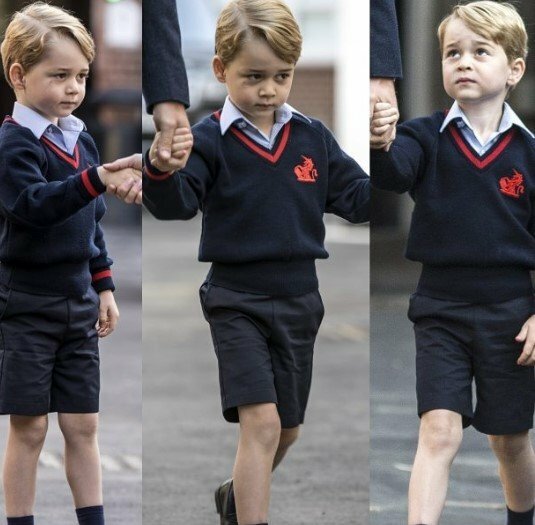 That leads us to a couple of questions: Does George ever use a Royal Title at School? Do his classmates know he is a Prince? To answer these questions, we have to understand a bit of how blue-blood members are addressed outside the walls of the Palace. It turns out that when you are part of the royalty, and your title is His Royal Highness, you don't need a last name. 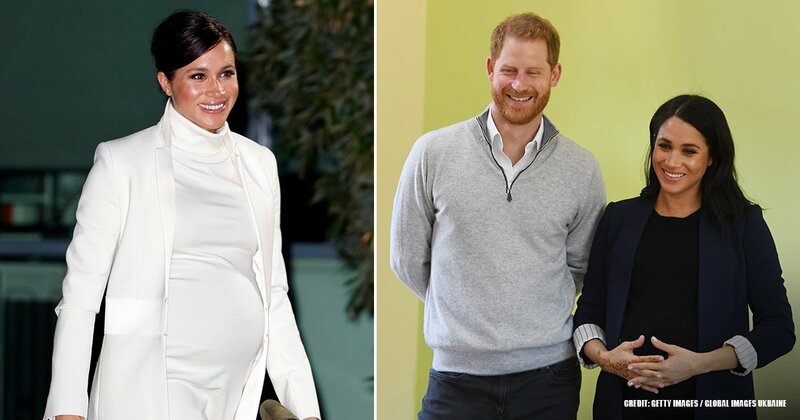 But should royals require it for some instances, such as enrolling in school, they can use the family's last name: Mountbatten-Windsor. However, this combination between the Queen and Prince Philip's last names is not the only alternative for George. 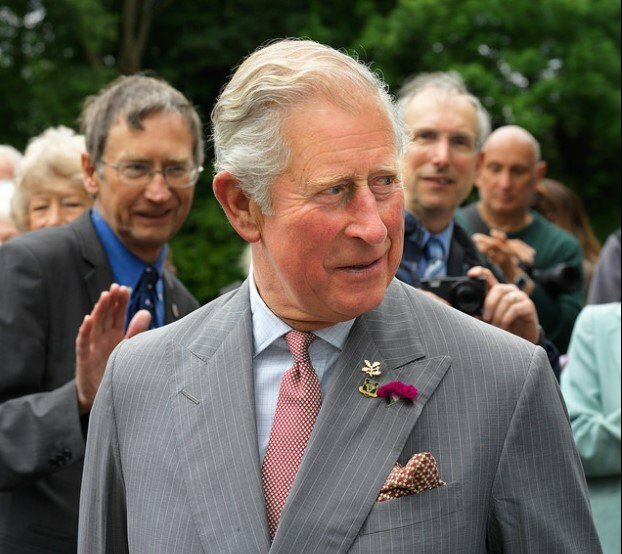 Apart from Mountbatten-Windsor, a portion of his royal title from his parents' nobility is also valid, in George's case, that is Cambridge. In fact, using peerages is a common practice among royalty to distinguish families. But once William becomes Prince of Wales, the third in line to the throne might go by George Wales, just as his father and uncle Harry did when they were younger. And once William ascends to the throne, his eldest son will be His Royal Highness Prince George of Wales, a peerage reserved for the first in line to the throne that is granted in an official ceremony. But that is not all. 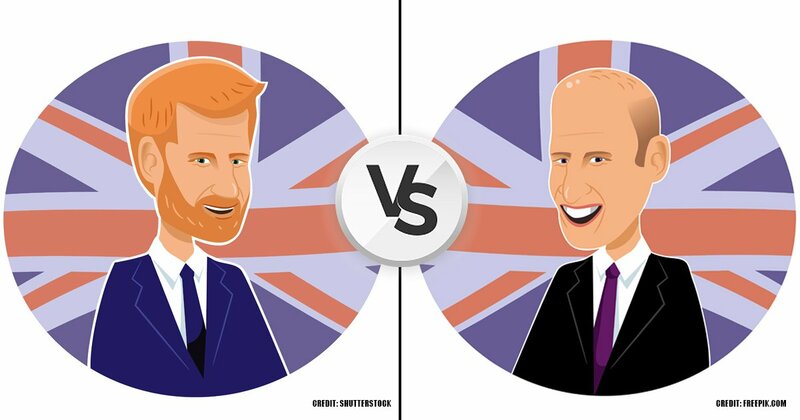 Once George receives his new title, he'll have another addition to the list as he will probably become the Duke of Cornwall as well, just as his grandfather, Prince Charles, currently is. Per traditional, male royals are granted their peerages upon marriage, but some, like Charles, earn them upon the majority, according to CheatSheet. 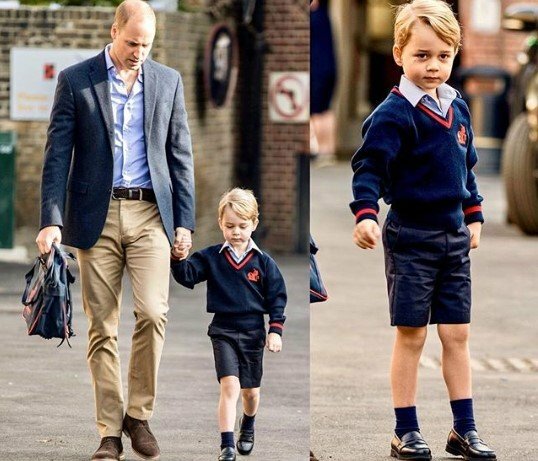 Despite all his current and future titles, at school, George's friends treat him like any other classmate, and that includes addressing him as such, not as the future King of England or the grandson of Queen Elizabeth II. 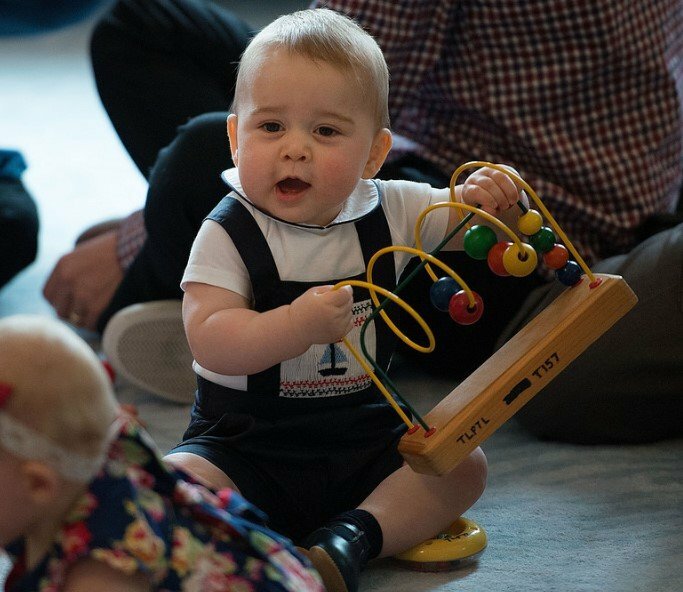 Per CheatSheet, he is merely known as George Cambridge; after all, George Mountbatten-Windsor is quite long and a bit of a tongue twister for a kid. 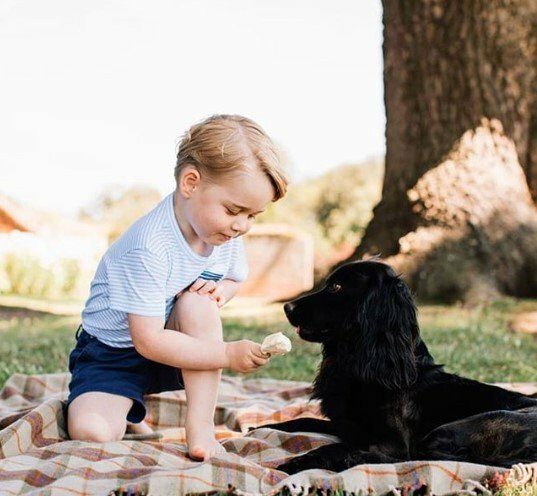 Prince George's childhood is entirely out of the ordinary, but his parents think it is crucial for him to have as much normalcy in his life as possible, and part of it is to spend time with daddy and learn things from him. 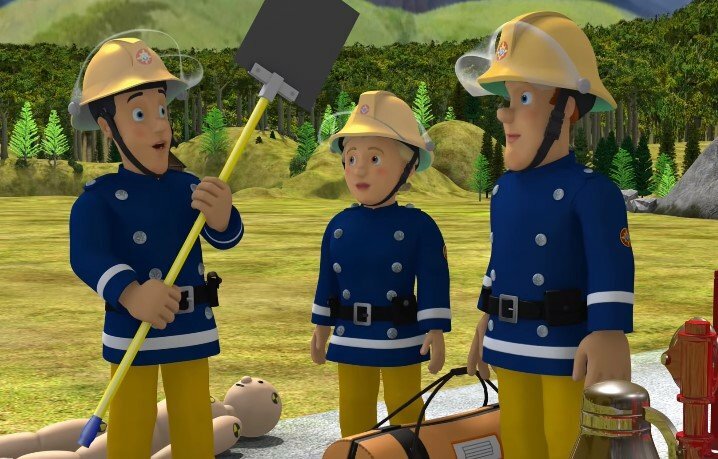 It seems that Prince William is doing a great job in this department, don't you think? Tell us your opinion in the comment section and stay tuned for more exciting articles like this one.